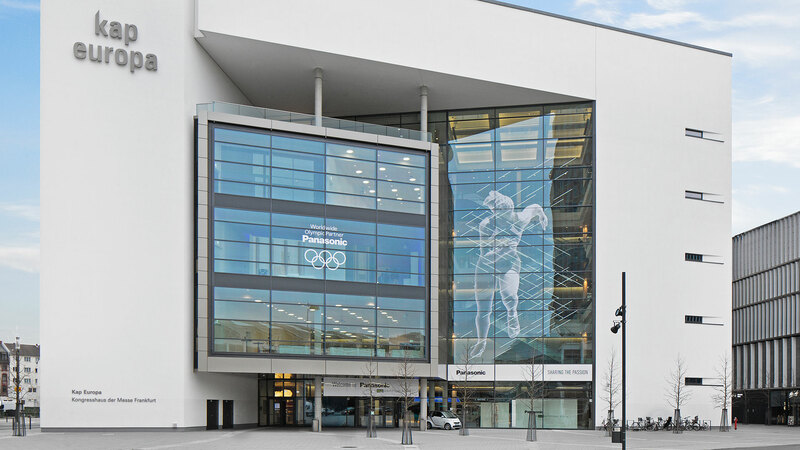 7,700 sqm of event area, a 2,400 sqm large exhibition, more than 2,000 guests and the brand-new CE solutions of Panasonic – that was the European Panasonic Convention 2016. 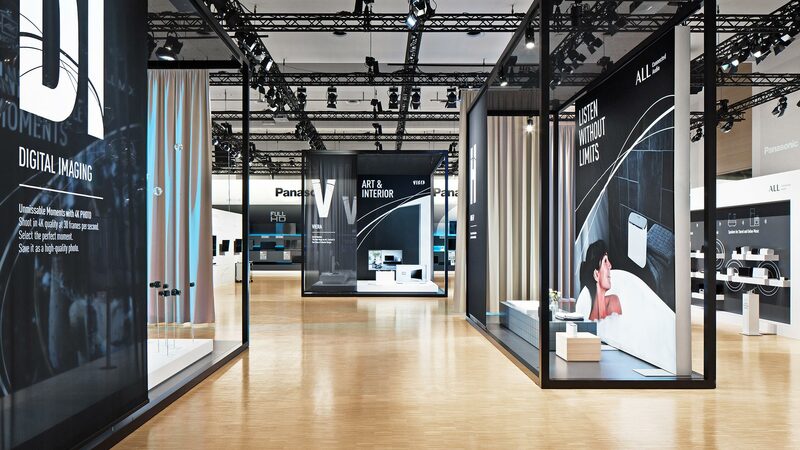 At the Kap Europa at the Frankfurt Fair the brand Panasonic set an example with its inspiring exhibition. 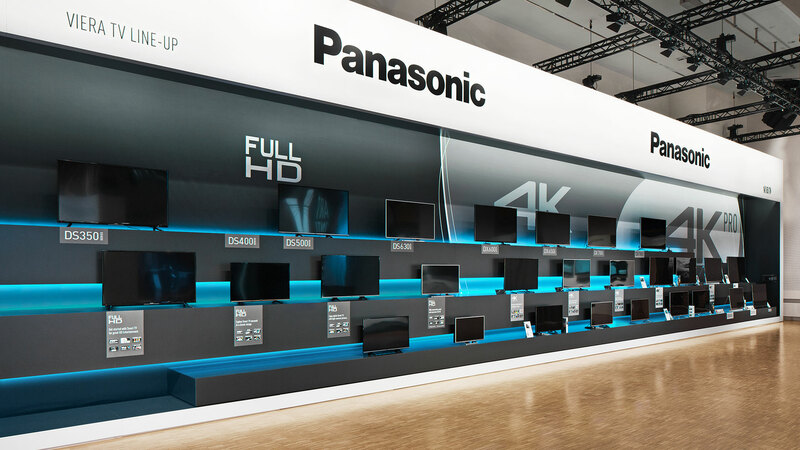 The five-day event, to which Panasonic invited its guests exclusively – the press, trading partners and resellers from more than 40 countries – ended with great success on 4th March. 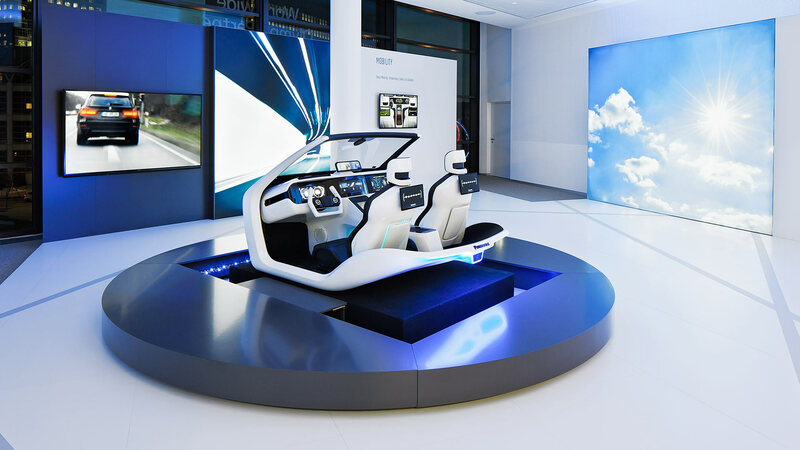 The exhibition that Dart developed for that purpose offered an interactive experience space, in which visitors could touch and test the products. Fulfilling the objective “Customer Centricity” – the focus on the European expert press and CE specialist retailers – the exhibition focuses on the presentation of solutions and products for the next season. “Trading partners are nowadays more and more demanding and ask for more opportunities to experience the products”, says Jochen Hoeffler, managing director of D’art Design Gruppe from Neuss. 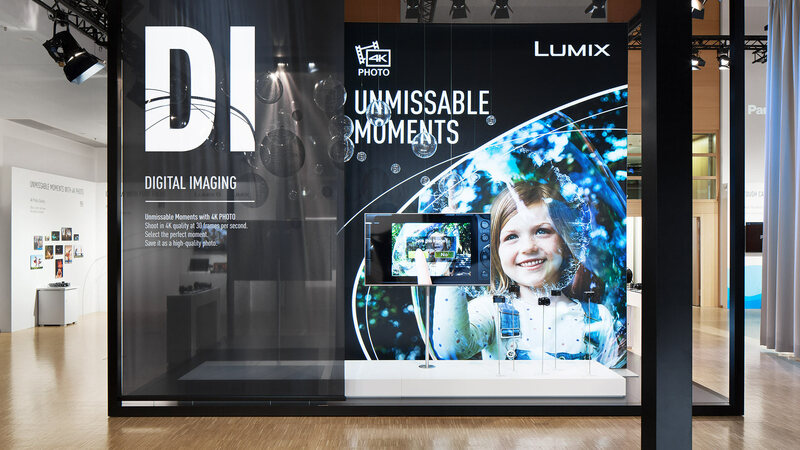 This is why the direct experience of its products and its brand is the core objective of the Panasonic Convention. The trader’s event began in the auditorium with a stage show and a media-supported product introduction of all the novelties. After being tuned in for the brand experience, visitors were lead in country-specific groups into the event’s heart – the brand exhibition. It was arranged on in total three floors, which visitor groups got to know in individual tours. 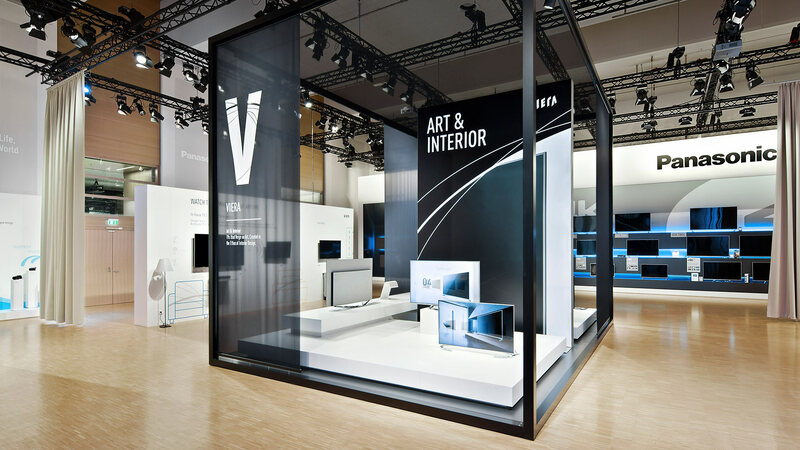 "This year, the link between architecture and exhibition design was especially well achieved. Panasonic’s appearance presented itself with a strong corporate atmosphere. 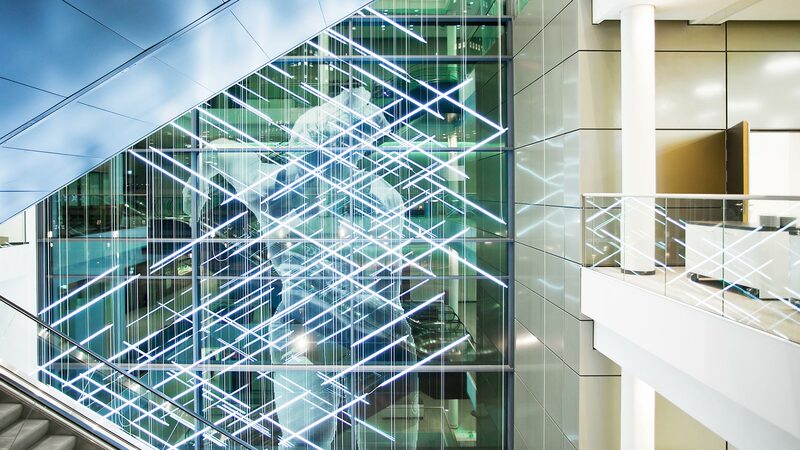 Current space requirements were neatly embedded into the existing spatial structures."